If you’re off on holiday to Portugal or Brazil this summer, or are just taking a short weekend break, you will want to have these useful expressions in your pocket. Excuse me/sorrya�? Desculpe / perdA?o (des-cool-peh)a�? My name is…a�? O meu nome A�… (oh meoh nomay ay)a�? Nice to meet youa�? Muito prazer (mweeng tu prazair)a�? How are you?a�? Como vai? / Com vai vocA?? (comu vay)a�? I would like (2 bottles of water) Eu gostaria (de duas garrafas de A?gua)a�? How much is it?a�? Quanto A� isso? How do I get to…?a�? Como eu chego A�…? I dona��t understanda�? Eu nA?o entendo (naw en-tehn-doo)a�? 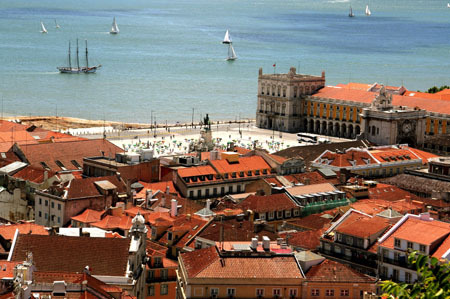 Cactus offers Portuguese Language Holidays in Portugal and Brazil, and Portuguese Evening Language Courses across the UK. To book any of our courses please call us on 00441273 830 960 or email us. Our multilingual team will be happy to answer any questions you may have.